With so many available sizes, finishes, features, and configurations, picking the right refrigerator can be a challenge. Let us simplify the process with this quick rundown of important considerations and a sampling of well-reviewed models. The kitchen plays host to more appliances than any other room in the house, and the king of them all is the refrigerator. Whereas it was once a plain white box of no-frills functionality, the refrigerator has evolved to boast a range of stylish finishes, plus an ever-widening assortment of features, some more useful than others. If it’s been years since you last shopped for a fridge, you may be surprised by how much the product landscape has changed. So as you navigate the many options, keep these factors in mind to make a selection that meets your day-to-day needs, satisfies your style preferences, and fits within your budget. Size/Capacity. 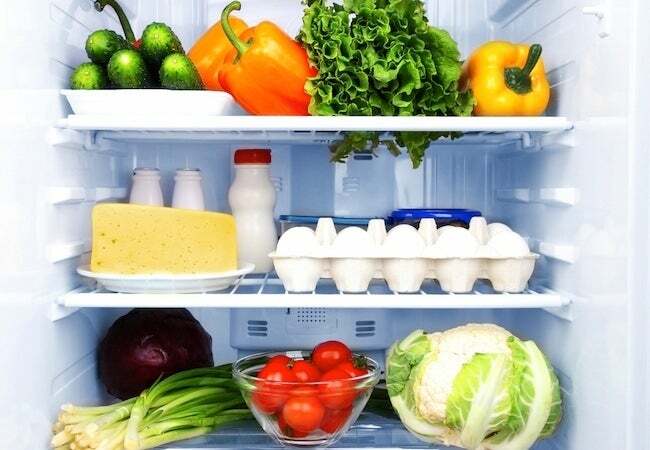 When it comes to refrigerator size, there are two measurements to know. The first is the appliance’s exterior size. If you’re buying a new fridge as part of a major kitchen renovation, then you’re free to consider larger- or smaller-than-standard appliance sizes, because your countertops and cabinetry can be designed to fit around whichever model you choose. However, if you’re working within an existing kitchen layout, the new refrigerator needs to fit into the space vacated by the old one. In some kitchens, there may be a height limitation, but width is more typically the crucial dimension. Standard refrigerators measure between 30 and 33 inches across. Depth varies as well. Some models are designed to sit almost flush with the edge of the countertop. Counter-depth refrigerators yield a sleek, almost built-in look, although because they are shallower, these fridges may not offer as much storage capacity as full-depth models. The fact is that once the refrigerator has been installed, you’re going to care less about its exterior dimensions and more about its interior capacity. 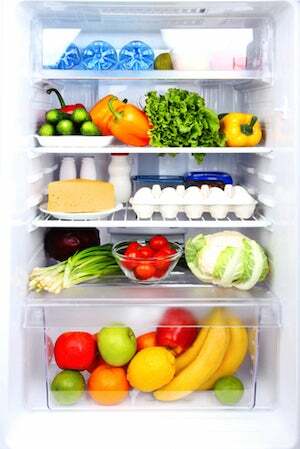 Standard-width refrigerators typically have interior capacities ranging from 19 to 22 cubic feet. While some models offer up to 33 cubic feet of capacity, they are wider (and sometimes taller) than the average model. Compact refrigerators, some as narrow as 18 inches, are experiencing new popularity, not in dorm rooms or offices, but in smaller homes. While these so-called column refrigerators often lack a freezer, you can buy a separate (equally small) freezer to serve as a companion. • side-by-side combinations: Appealing to those who reach into the freezer as often as the fridge, these feature a vertical, full-length split, with the refrigerator on one side and the freezer on the other. 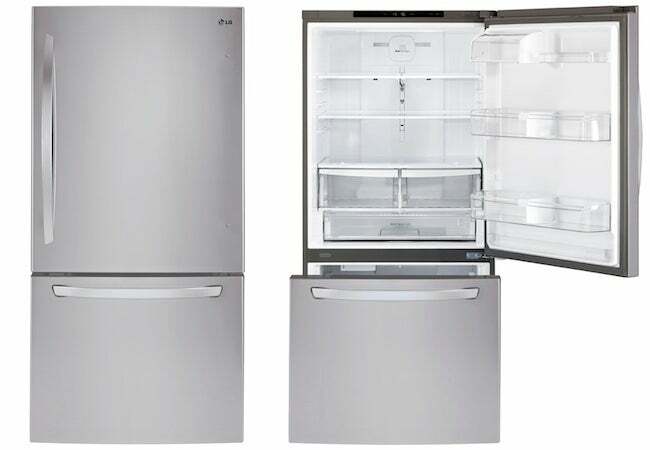 • bottom-freezer styles: A fast-growing subcategory, this design positions the refrigerator above the freezer; while the fridge portion often has hinged French doors, the freezer pulls out along sliding tracks. 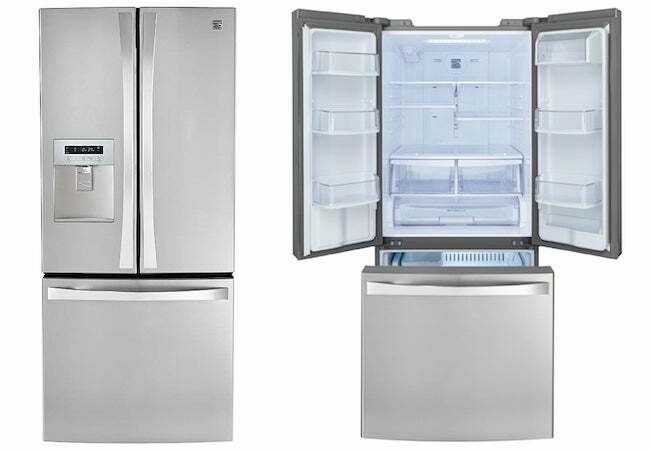 • four-door models: We’re used to “four doors” being a descriptor for cars, but here the term refers to refrigerators that feature an extra drawer (for meats and beverages) between the two-door fridge and pull-out freezer on bottom. In deciding upon the ideal refrigerator configuration for your kitchen, don’t forget to account for a model’s door swing in relation to nearby walls, cabinetry, and other appliances. Another important consideration: Many appliances work best when installed with a certain amount of clearance on all sides. Read the literature and work with the appliance salesperson (and/or your contractor or kitchen designer) to make sure that the refrigerator you are purchasing is going to actually fit in your space. Energy Efficiency. In any product showroom, you’ll find that each refrigerator carries an Energy Guide label, summarizing the appliance’s energy requirements and annual operating cost (based on average natural gas and electricity rates). To minimize monthly energy bills, focus on models bearing the Energy Star designation. 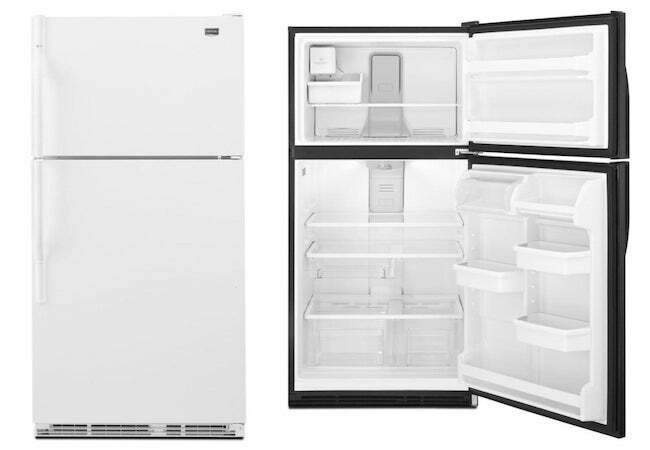 Such refrigerators exceed federal minimum standards for efficiency and quality. Additional Features. Bells and whistles are as prevalent here as in any other appliance category. Among the most popular are temperature-controlled drawers, adjustable storage shelves and bins, and through-the-door ice and water dispensers. On pricier models, you can find wine-chilling compartments, Bluetooth-enabled sound systems, and even integrated television and/or computer screens. In addition, most brands today offer a range of colors and finishes, from matte white to stainless steel and beyond.